Enhance interest in soccer and expand abilities to play the game; introduce team environment, strengthen confidence, advance fundamental skills to manipulate a soccer ball, and introduce basic tactical game understanding. This is the formal introduction stage to Maroons Soccer Club travel soccer. Every player must attend Maroons Soccer Club Tryouts and be selected to a team. Maroons U8 continues to be a FUN-based program and works to include as many players as possible, minimizing player cuts wherever possible. Training emphasizes techniques to maximize a players touch and develop intelligence and confidence in the game. Training emphasizessmall-sided games that foster skill development and imaginative, creative play. This FUN program advances a players technical foundation and expands their understanding of the game necessary to progress the Player Development Pathway. Players turning 8 years old after August 1st, typically 2nd graders, see Player Age Chart to confirm appropriate player placement. Players must tryout, based on age, and be selected to a team. Maroons Soccer Club works to minimize player cuts at U8 wherever possible, however, player cuts are a reality of travel soccer. A year-long program where, following a tryout, players are added to a specific team. Teams typically train 2x week and play 10 competitive league games in the fall and 10 games in the spring. League matches are played 8 players vs. 8 players on a small field around the metroplex. In the fall, league games for boys are mostly played on Saturdays and girls on Sundays; in the spring, games are mostly played on Sundays. Each teams activities will vary during the winter. Teams are split based on gender, ability, and specific birth dates. Each team is lead by a properly qualified Parent Coach and/or Professional Coach Trainer. 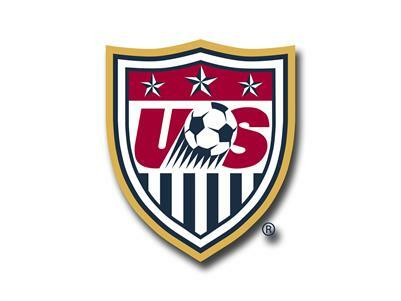 These instructors meet a minimum level of qualification, holding at a minimum a NSCAA Level II Diploma or equivalent. These instructors are guided by the Maroon Development Curriculum as well as by Maroons Coach Expectations. Total estimated annual cost is $800. Fees include payments to Club ($425), uniform (estimated $85), and team fees (estimated $200-300). Fees cover professional training, games, referees, tournaments, insurance, fields, lights, and other Club expenses. Tryouts are required and players must register and be accepted to an appropriate team, based on performance. Go to www.ridgewoodsports.org, Log In, Select Maroons Soccer Club then select specific soccer year. Available programs will be confirmed based on players age, see Player Age Chart to confirm appropriate age group.